Dr. Michael Finke, CFP®, is Dean and Chief Academic Officer at The American College of Financial Services. 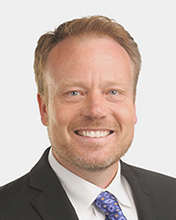 He joined The College in June 2016, having served since 2006 as a professor and PhD coordinator in the Department of Personal Financial Planning at Texas Tech University. From 1999 through 2006, he served as the director of graduate studies at the University of Missouri. Dr. Finke is a nationally renowned researcher with a focus on the value of financial advice, financial planning regulation, investments and individual investor behavior. He was named to the 2012 Investment Advisor IA 25 list and the 2013 and 2014 Investment News Power 20. His research conducted with The American College professor, Wade Pfau, questioning the 4% rule was published in the Journal of Financial Planning and won the 2014 Montgomery-Warschauer award for the most influential article in the publication. He had previously won the award with Thomas Langdon in 2013. He was also selected to present his research on financial literacy and aging at the 2015 MIT Center for Finance and Policy Conference. Dr. Finke has published more than 50 peer-reviewed articles and is widely quoted in many of the nation’s leading consumer publications, including The Wall Street Journal, The New York Times, Time, and MoneyMagazine. Dr. Finke also writes the monthly Finke on Finance feature column for Research Magazine, in which he applies research to help professionals understand timely industry topics. He also worked on white paper research projects for companies that include MetLife, Northwestern Mutual, OneAmerica, the Society of Actuaries and TIAA. Dr. Finke served as president of the American Council on Consumer Interests, is currently a contributing editor to Research Magazine, and is the former editor of the Journal of Personal Finance. Dr. Finke received a doctorate in consumer economics from The Ohio State University in 1998 and in finance from the University of Missouri in 2011, and his CFP® in 2006.